More than 70 percent of assaults that occur in workplaces impact healthcare and social service workers, according to the Bureau of Labor Statistics (BLS). This makes healthcare and social service workers nearly four times as likely to be hurt by workplace violence than the average worker in the private sector. Highlighting these facts, the Occupational Safety and Health Administration (OSHA) has just announced that it has updated its guidelines for protecting these workers from workplace violence. As part of these updates, OSHA has presented industry best practices, as well as highlighting the most effective ways of preventing “violence in various healthcare and social services settings,” according to the press release. It is unacceptable that the people who dedicate their lives to caring for our loved ones often work in fear of injury or death…This updated booklet will help employers implement effective measures to reduce or eliminate workplace violence hazards. In light of our recent blog series about hospital workplace injuries, in this series, we will point out some of the most notable updates OSHA has made to its publication, Guidelines for Preventing Workplace Violence for Healthcare and Social Service Workers. 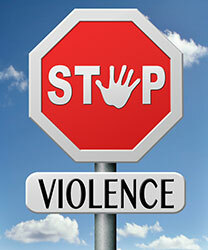 These updates all pertain to employer programs for violence prevention. While the discussion herein is insightful, if you are currently concerned about financially recovering after any workplace injury, you can turn to Denver Workers’ Compensation Lawyer Jennifer Bisset for experienced help and effective representation. She can help you obtain the benefits you need and deserve. Management commitment & employee participation – This should involve delegating management to oversee the development, rollout and maintenance of workplace violence prevention programs.Additionally, OSHA has noted that this aspect should include recourse for making workers accountable for being involved (or not involved) with these programs; specific, well-known procedures for reporting and documenting reports of workplace violence; and policies to ensure that those who have reported incidents of workplace violence will not be the targets of retribution. Workplace analyses – This component of workplace violence prevention programs should provide for the in-depth assessment of a given workplace to pinpoint its potential risks and/or hazards that may contribute to violence.OSHA also recommends that these analyses include “a records review, a review of the procedures and operations for different jobs, employee surveys and workplace security analyses. For our continued discussion regarding OSHA’s updated guidelines for protecting healthcare workers against workplace violence, be sure to check out the upcoming conclusion to this blog series. Have you been injured at work? If so, Denver Workers’ Compensation Attorney Jennifer Bissetwants you to know that she is here to aggressively advocate your rights and help you obtain the benefits to which you may be entitled.